ME? A CRIME BOSS? THE PRESS HAVE AN AWFIE WAY WITH WORDS! It’s mid-afternoon at Dreamers Beach Club in Koh Samui and the boss has just hopped off a boat from Koh Phangan when I catch up with him at his club putting away a chicken salad for a late lunch. “Are you the guy that’s been writing about me?” he asked, ‘Aye, I believe I may have written a wee bit I reply. ‘Okay give me ten minutes’. I take a seat on the outside steps. Walter Douglas, 52, The Tartan Pimpernel, aka Terence Tompkins, aka Willy Grant, is a name one associates in Europe with drugs trafficking, the Great Train Robbers, Jack the Hat McVitie, Fred the Bread Foreman. In Scotland he has been linked to Tam ‘The Licensee’ McGraw. It’s not that I have not spoken to lots of famous people in Britain’s so called crime underworld. I have. I got to know quite a few of the Great Train Robbers (after they served their time) and I knew Charlie Kray, elder brother to the notorious Kray twins. But my meetings have not always been harmonious. I once turned up at the home of a South London gang leader and fled with two guys after me with baseball bats. I ran past my car. They did not. I had to replace the windows and bonnet – but to be fair – they did pay later. Walter, or ‘Bobby’ as he is known in Bangrak, on the northern coast of Koh Samui, is also ominously known as ‘Whacky’. But he however was well disposed. Maybe the ‘Whacky’ comes from ‘Whacky Baccy’ (ganja) or ‘whack’, er, something men do in private, not as in ‘Whack’ – to kill deliberately. 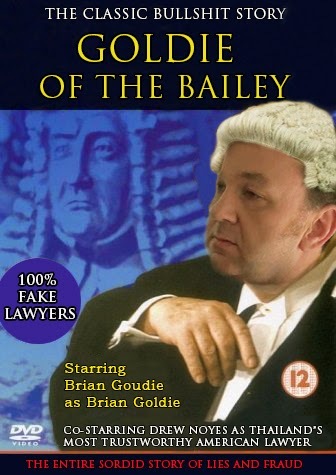 I had actually come to talk about Brian Goudie, the famous fake barrister, or Scottish advocate, who had been name dropping Douglas’ name in the eastern seaboard resort of Pattaya, but you know how curiousity is. Walter was quick to reply. “I have no business whatsoever with that guy. But he does get around. He’s got a mouth on him. He’s good with it. But I have heard too many bad stories. 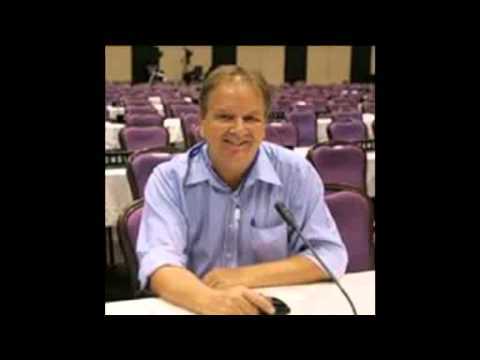 He knows Thaksin Shinawatra for sure.”……….. I’ll come back to that later. But what about Walter Douglas himself. He grew up in Glasgow and was alleged to be an associate of Tam ‘The Licensee’ McGraw a notorious drugs trafficker who died in 2007 and became famous during Glasgow’s ‘Ice Cream Wars’. This was when opposing gangs in Glasgow, notably the McGraws and the Doyles used ice-cream vans also to fence stolen goods and drugs. If they were running to today in Glasgow that’s where you would get your latest smart-phone, or line of coke! Glaswegians, not without their sense of humour, labelled the Strathclyde Police unit detailed to investigate them ‘THE SERIOUS CHIMES SQUAD’. A former milkman Douglas rose to be Britain’s most successful drugs traffickers, according to press reports, and even Wikipedia today, has a large section dedicated to him. With assets of £20 million he was described as one of the top ten British drugs traffickers and head of the Delta Crime syndicate during the 80’s and 90’s using a car plant and plant nursery as a conduit for his goods – initially cannabis. 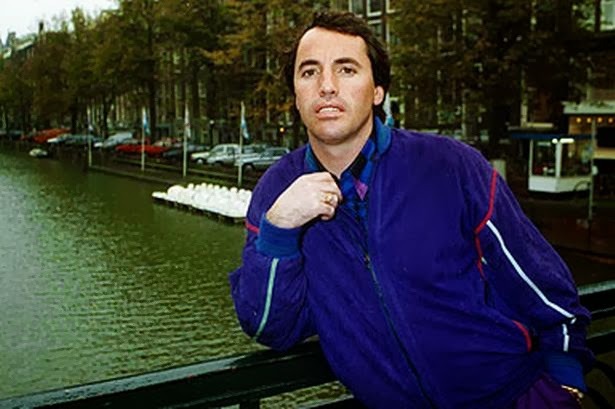 In 1994 he and three others were arrested in Holland after the Britannia Gezel freighter was stopped by British Customs who found a haul of 18 tons of cannabis worth £60 million. This was a joint operation with the American DEA and Dutch Police. Douglas was jailed for four years, it was reported, but fled on bail while appealing. 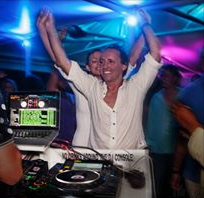 He was found again in 1998 in Ibiza, Spain living under the name Terence Tompkins. There he was charged on a warrant from Marbella on a charge of money laundering to the tune of £150 million. He was jailed in Alhaurin dela Torre prison Malaga, but then according to Wikipedia, had to be released due to legal problems and failure to get him extradited to the Netherlands. He was also pulled in it has been reported for questioning by Spanish police over the murder of former train robber Charlie Wilson, outside Marbella, on what became known as the Costa del Crime. Wilson, who had turned to drugs trafficking, had allegedly lost some £3million he had been asked to launder from the famous Brinks-Mat robbery in the U.K.
There’s more but its all a bit suspect. In 2003, Douglas was placed in Russia working with the Russian Mafia. In early 2005, he fled to South Africa with £4 million after a failed drug deal with the Russian mobsters in Latvia. During this time, he hired two Latvian bodyguards believing Colombian drug cartels might also pursue him. In July 2005, he purchased a 75 ft.-Sun seeker Predator and made his escape from the country reportedly sailing north for Spain. Worth £1.5 million, the yacht was fitted with high-tech radar and twin 1,200 hp engines keeping ahead of the Russian Mafia and Colombian drug cartels – reported Wikipedia, which was being fuelled by press reports in the Sunday Mail and News of the World. So there we have it. According to wiki Douglas is wanted by both the Scottish and Dutch Police. Yet here he is happily living like a lotus eater in Thailand. Some mistake surely. “Aye. You’re right there,” said ‘Bobby’, the thing is all these papers they report when you are arrested but never when you are acquitted. “Then the stories just get copied and they seem to become fact. But the fact is I am clean. Totally clean. “Nobody wants me for anything. “Yes. I did go to jail in the Netherlands. I was in prison for six months on remand. Then after I was sentenced for four years, I did another three months. But I was acquitted on appeal. “My lawyers argued that the phone taps were illegal. The court ruled they were and they acquitted me. They even gave me compensation, a few guilders for every day I spent in custody. 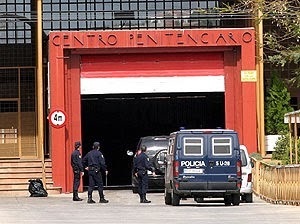 At the time it was alleged that half of Britain’s underworld was driving free cars around Marbella and Torremolinos. As for the murder of Charlie Wilson, he said: “Yes. I was pulled in for questioning, but that was just because my car was parked outside his house at the time. In fact I had lent the car to Tony McVitie, son of Jack ‘The Hat’ McVitie. Jack the Hat, an associate of Britain’s infamous Kray Twins, was stabbed to death at a party by pre-arrangement by Reggie Kray of Britain’s infamous Kray Twins, long before Douglas came on the scene. Freddie Foreman, aka Fred the Bread, was later convicted of disposing of McVitie’s body in the English Channel off Newhaven. Foreman was another famous resident of the Costa del Crime. I put enquiries into both British and Dutch Police. Their silence suggests that Walter Douglas is in fact telling the truth when he says he is not wanted. That is not surprising. Not much publicity is given to failures in the drugs interdiction business. And of course he is not known as the ‘Tartan Pimpernel’ for nothing! 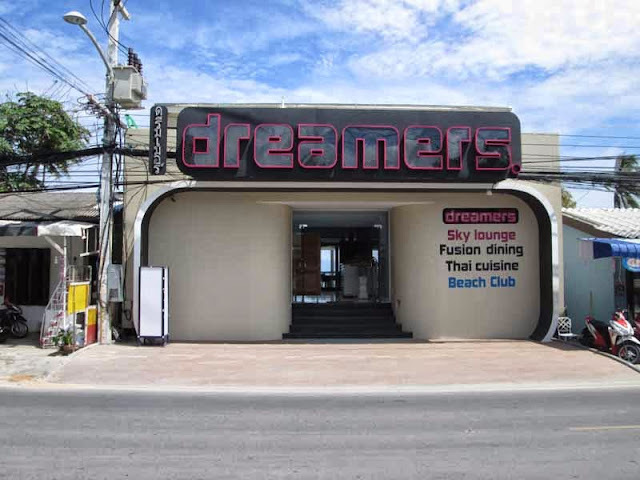 Dreamers Beach Bar in Bangrak is currently his pet project. 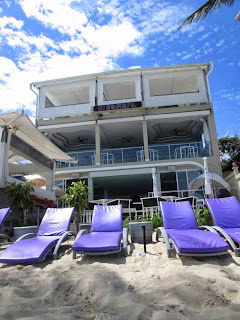 But it’s badly placed to catch the tourist crowds from Lamai and Chaweng. Is there a new crowd moving in? Events are organised for Saturday and Sunday. 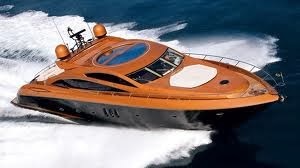 Douglas is a shareholder in Dreamers in Puerto Banus, Spain. There is another in Ibiza. He travels to and fro. He uses his own passport. One of his partners in the local venture in Thailand comes from a major Koh Samui family. That makes local Brits scared. The local families appear to control the police, or at least have a very close relationship with them. Despite his convivial nature with me, many local foreigners appear to be scared. Nobody will be quoted by name. But its a small community. “Just take a look at Dreamers. It’s right up against the high water line. According to environmental and planning regulations it should be set far back – at least 20 metres and anything over one storey should be set back 50 metres. Dreamers is three storeys. If he can do that then he has local influential people on his side,” said a local estate agent. Fifty metres back would sit Dreamers in the middle of the Bhoput to Big Buddha road. 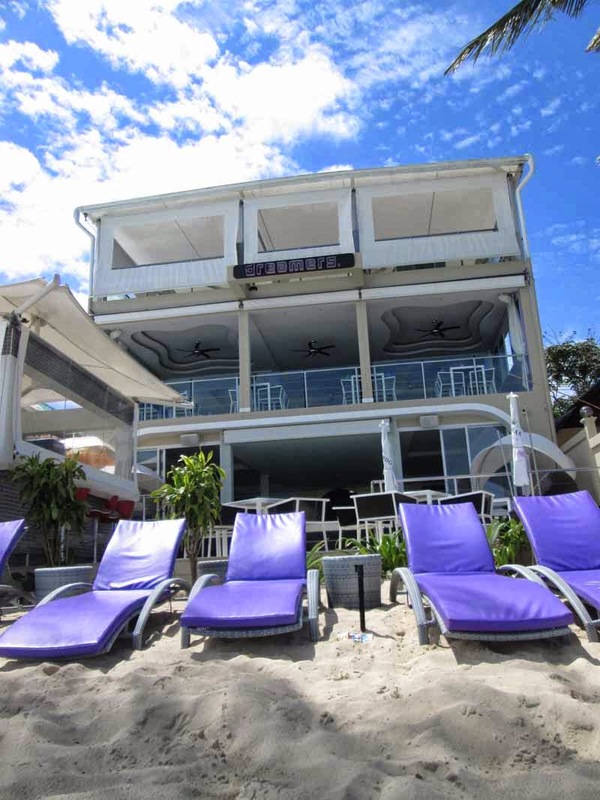 Enquiries show that Walter Douglas has been in Koh Samui since 2009 the same year Britain’s Daily Mirror listed him as one of Britain’s ten most wanted and richest drugs traffickers. But he is the most unwanted – wanted man. He has reportedly been arrested once in Koh Samui after complaints from foreigners that he had beaten up a local Brit. Again the case was not proceeded with. Bangrak meanwhile is earning a reputation as one of the new ‘Costas del Crime’ for Brits not seen to be actually working for a living. At least three major figures have relocated there from Southern Spain. A long term resident in his 60’s said: “What is happening is what I have dreaded. Nowadays you go down to a local bar and the guys are muscular and tattooed up. It seems remarkable that a man with Douglas’ associations would want to move to a country where the penalty for drugs trafficking is death by lethal injection. But in the real world – especially in Asia it seems – that is for suckers. Footnote: Andrew Drummond’s first assignments in Asia were to cover the trials and subsequent hangings of Kevin Barlow, Geoffrey Chambers and Derrick Gregory. All were couriers running drugs for Mr.Bigs who were never caught. Footnote: Brian Goudie and Thaksin Shinawatra. Two years ago Brian Goudie posed the role as the fixer between a group of British investors and the Thai authorities to invest in a property development in Koh Samui which was clearly against planning and environmental regulations. Goudie, who had been introduced to the group by a British solicitor working on Samui, claimed direct links both with the Land Department and with Thaksin Shinawatra. One of the members of the group said that a meeting with Thaksin Shinawatra was set up in Dubai and insists that meeting went ahead. But in any case the project on land in a national park bombed. The investors are reported to have lost up 27 million Thai baht much of which was reportedly paid directly into Goudie’s account for his paper company Ramidin at the HSBC Bank in Hong Kong. If you live on Koh Samui you’ll probably know it. But ‘The Larder’ Restaurant on the road north out of Chaweng is quite brilliant and just the place to go even if you do not have US$20 million stashed away. This restaurant is one of Walter Douglas’ favourites so I had to go and try it. Forget about the view – its the main road – but if you just want to have a bloody good meal you should not miss it. Its not cheap but sometimes its worth going the extra mile for the experience. While I was there I had a Wagyu Steak with honey coated Stilton. Out of this world. No money was taken out of appeal funds by the way – Its billed on expenses. The British management welcomes everyone, even if you have never been arrested, or even placed under suspicion. Walter’s favourite wine: Sangre de Toros (seriously) – Well you can take the guy out of the Costa del Crime, but….